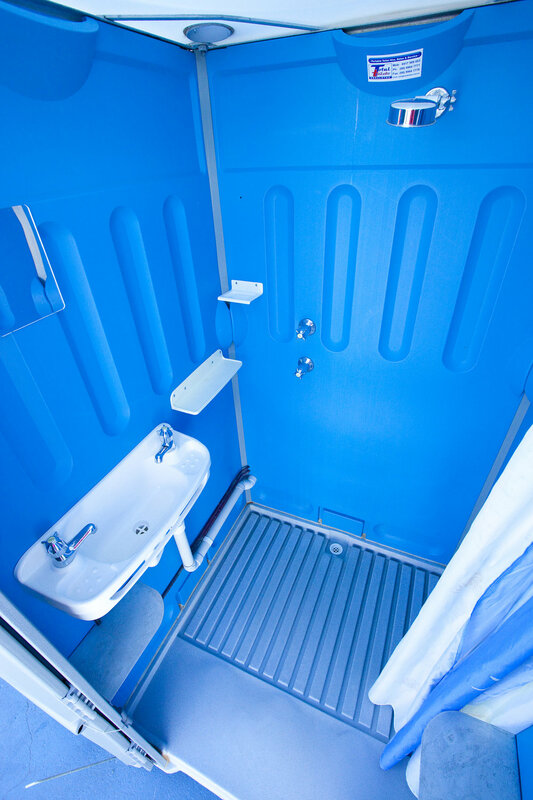 An instant and cost effective solution for providing temporary full shower facilities. This self contained portable shower cubicle is perfect for bathroom renovations, sports events, leisure activities and mine site shutdowns. The ultimate in portable bathrooms, this luxurious and hygienic unit is the solution to your renovating blues, event requirements or need for extra facilities. Spacious and comfortable, this unit is perfect for your personal needs. Its simplicity will surprise you as installation takes only minutes. All that's required is access to water, power and sewer or septic connection. The flexible connections do the rest.